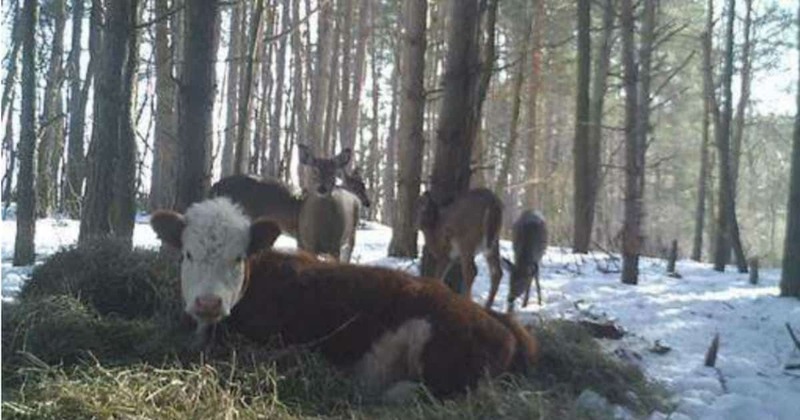 It might sound weird, but a herd of deer in a forest in New York accepted a baby cow as their own and welcomed her into their family. 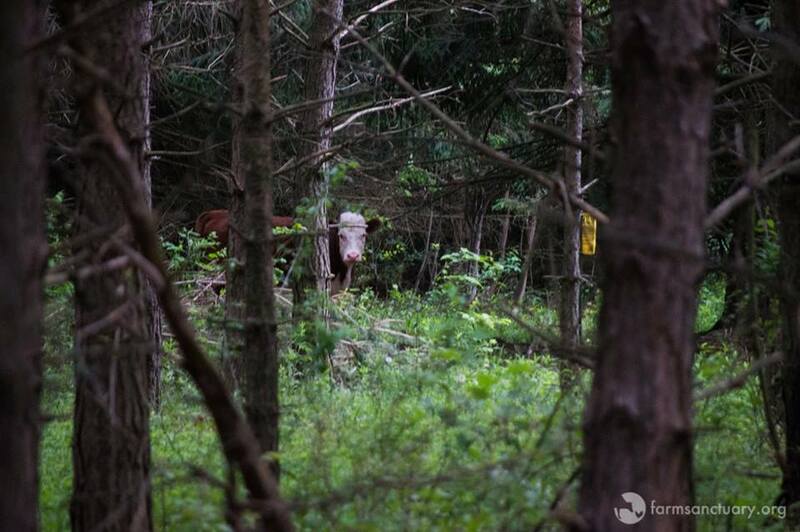 The story has quite a twist, as this bovine was an escapee from a slaughterhouse! 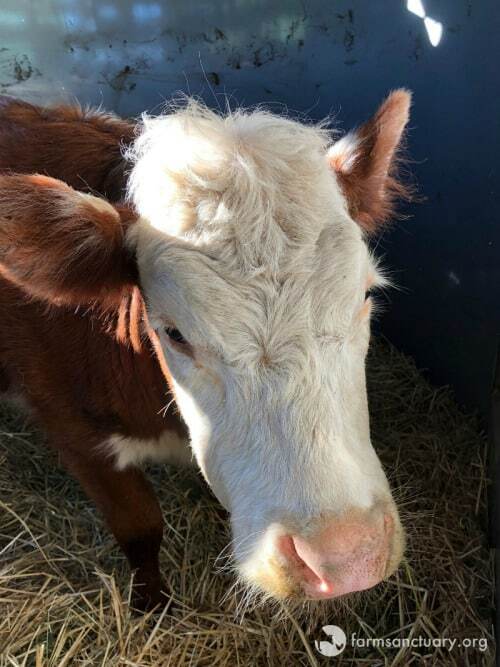 Her name is Bonnie, and she is quite a resilient baby who took off after her siblings and mother were sent to a slaughterhouse. 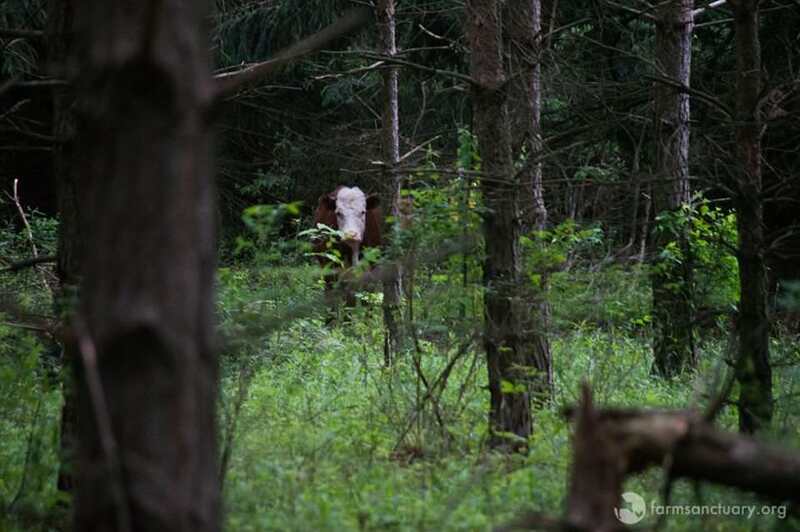 Although she lost her mother, who has been with her for four months, Bonnie took to the woods, where she discovered some weird looking cows! Even though she was too young to understand what the commotion was, she knew that she was surrounded by terrified animals. So, she ran and hid in the forest. 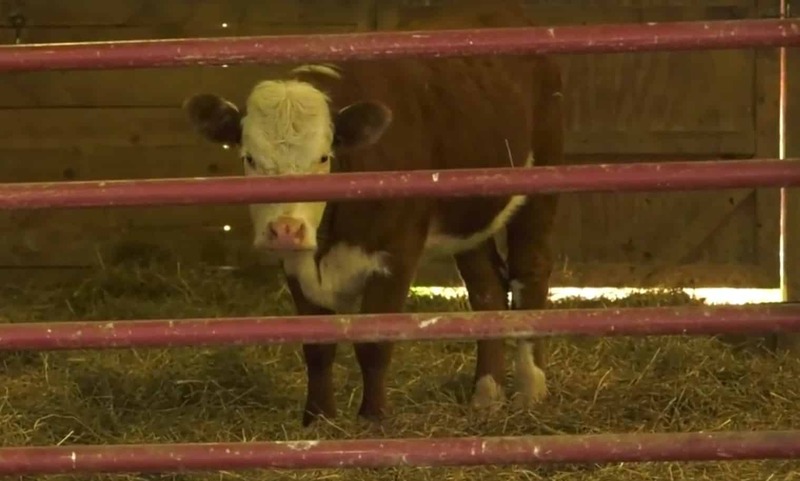 This is what the Farm Sanctuary National Shelter said about her escape. ‘She was just a baby. 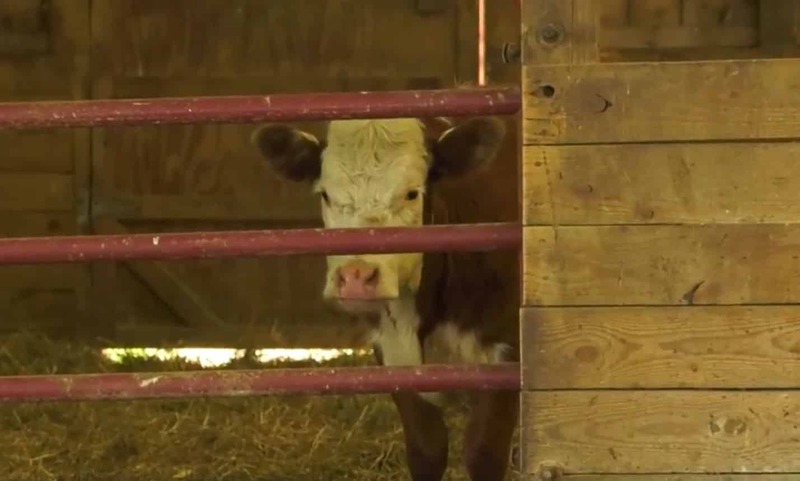 She took off and her mom probably lost her mind because mother cows are nuts over their babies,’ explained the director of the Farm Sanctuary, Susie Coston. However, it was her action that saved her life. 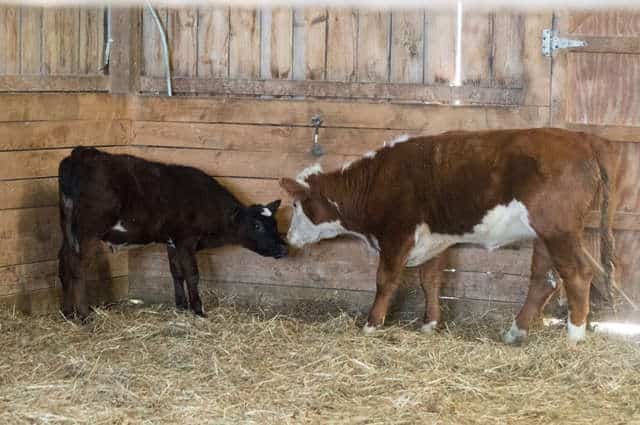 Coston added that the separation between the mother and the calf was very sad, ‘but at the same time it’s the thing that saved her.’ In the meantime, people heard about the runaway cow, and Bonnie became famous. Bonnie became famous, and people would spot her in the woods, but she never allowed them to capture her. 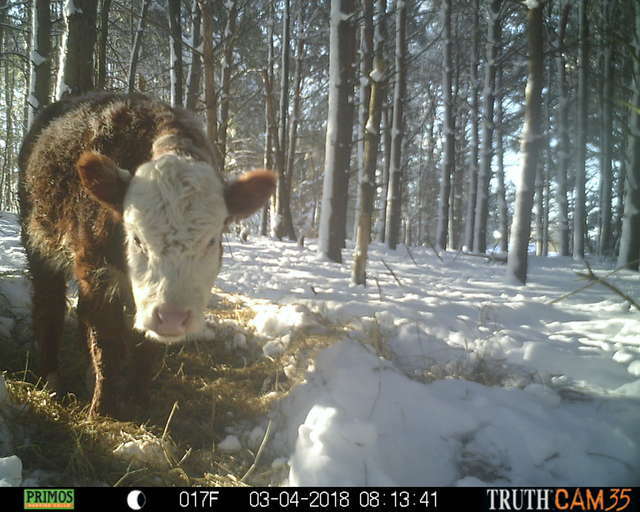 Everybody was wondering how this little domesticated cow would survive all alone in the woods? 15. Was It a Real Story? 14. She Was Not Alone! 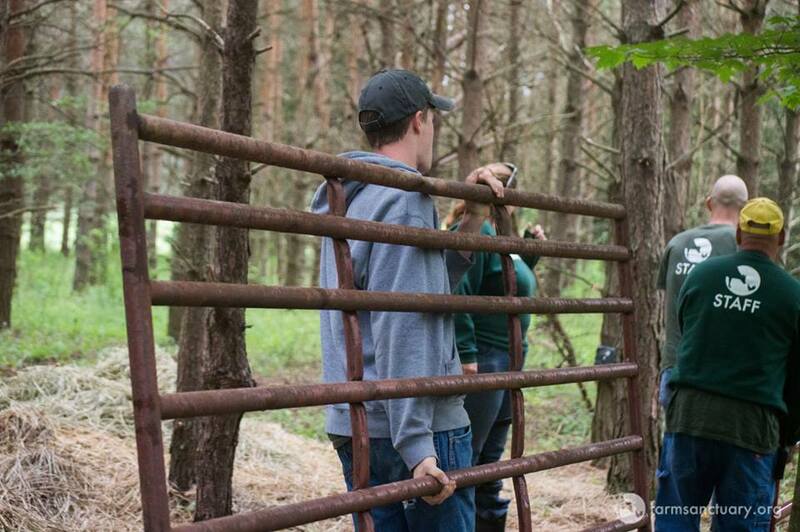 It was surprising to see Bonnie surrounded by a herd of wild deer. 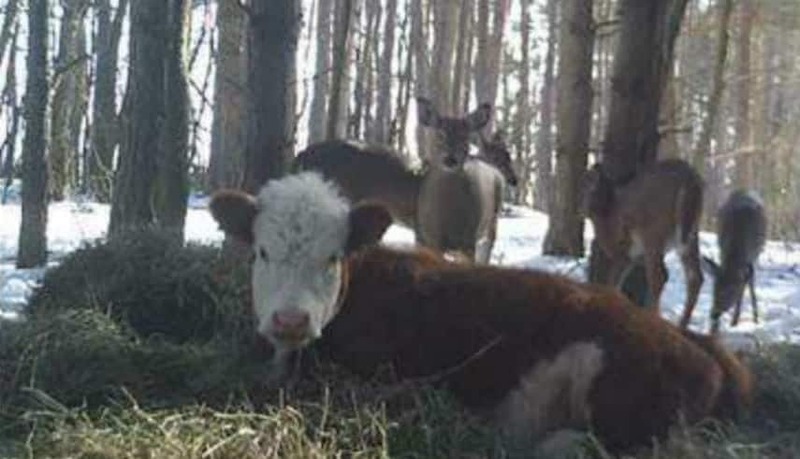 She was not alone, and Coston admits that a cow and a herd of deer is an unlikely combination. This is what she said about Bonnie’s new family. That’s too cute! 13. 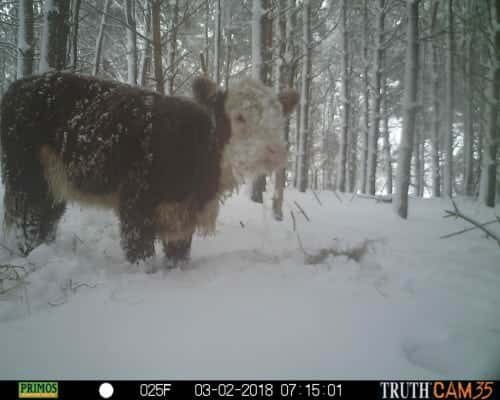 Never Seen Anything Like This! 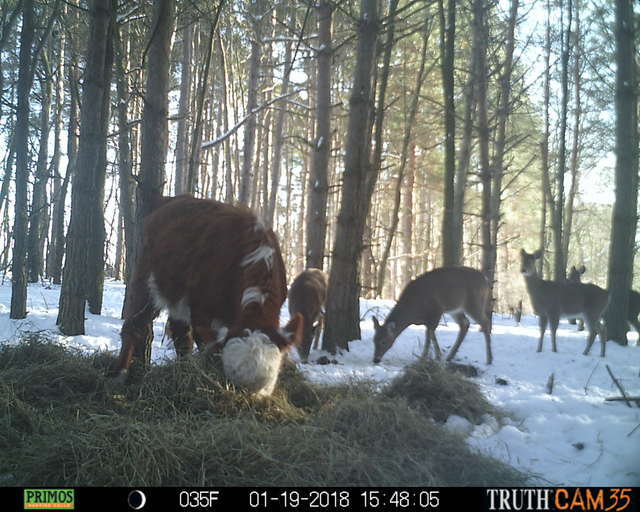 When a hunter told his neighbor, Becky Bartels, about a cow living with the deer in the woods, she couldn’t believe it. 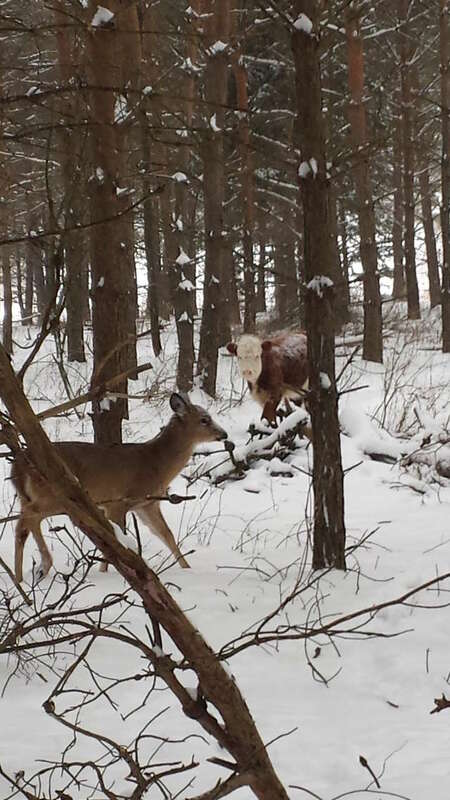 Then, it struck her: the calf wasn’t going to make it in the winter on her own. Becky had to help her! 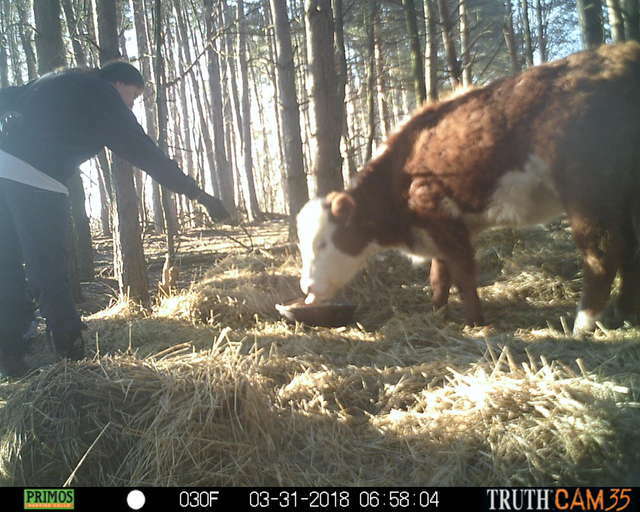 Becky set up a trail camera and returned every day to add some bedding, water, and food for the calf. Bonnie took her time in trusting her benefactor, but it was worth it when she came to greet her and even brought the deer with her! 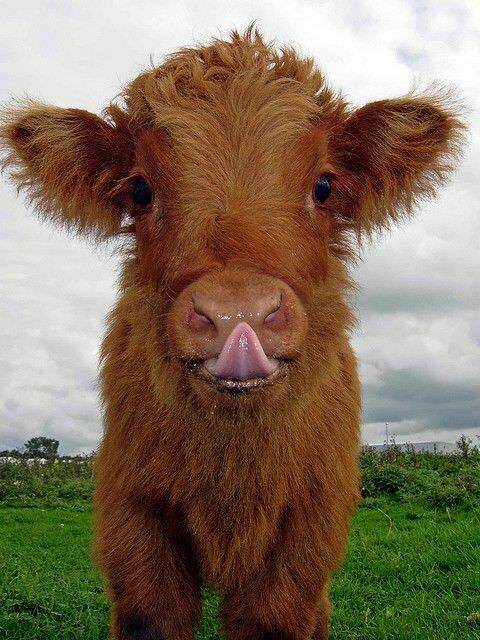 As she heard the warnings, Becky called Farm Sanctuary to help her rescue the calf and take her to safety, away from the angered locals. Bonnie needed a safe place to grow up, among others like her. 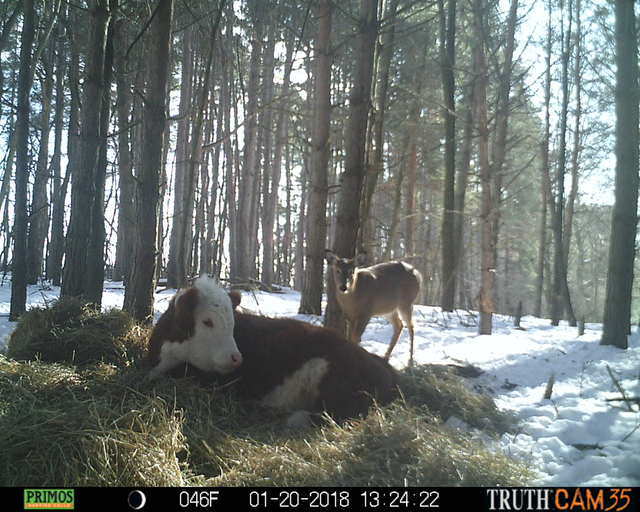 The deer might take care of her, but Bonnie was not a wild animal, and if she were to live a long life, she would have to go to live in a sanctuary, where people would take care of her. 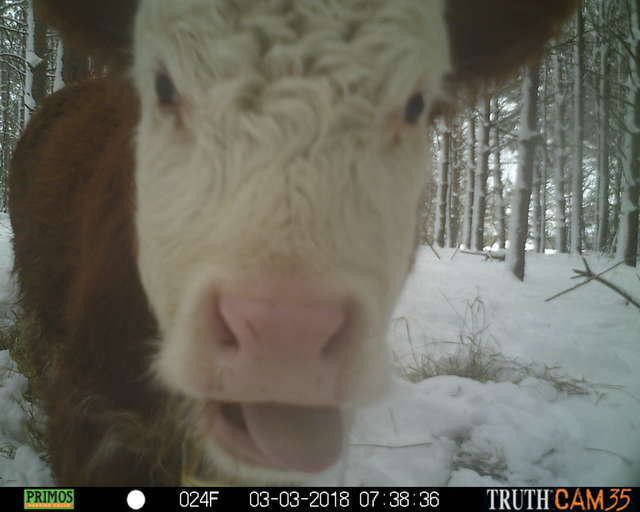 Meredith Turner-Smith, the media relations specialist for Farm Sanctuary, said that they ‘built a corral around her eating space, patiently waiting to close her in.’ It took them a while and a lot of food to tempt her! Bonnie was finally tempted by the food in the corral, and she was slightly sedated before being safely taken to the sanctuary. 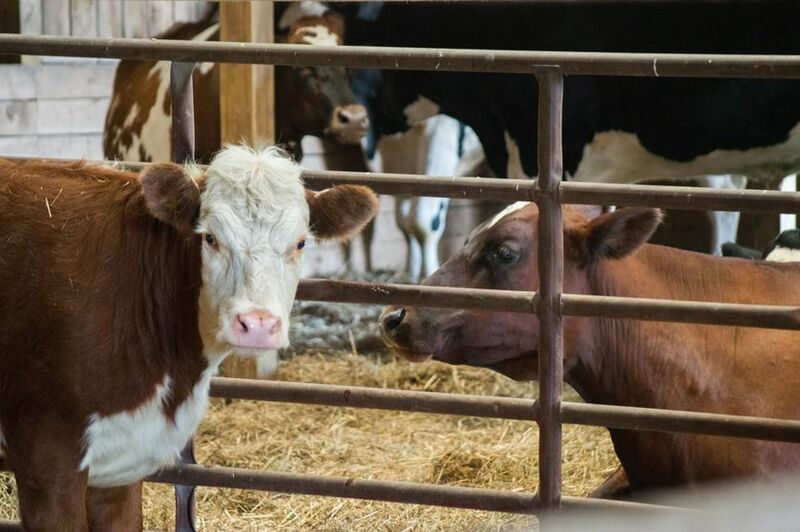 She woke up at the Farm Sanctuary, a place that became her forever home. 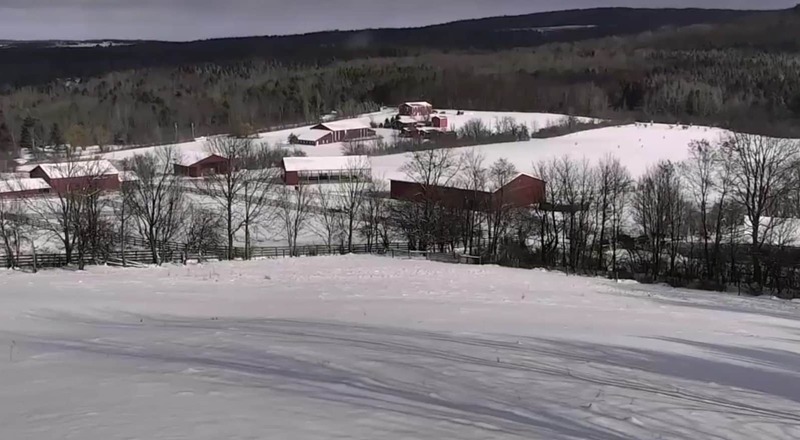 There, she has cozy barns and large pastures to graze. 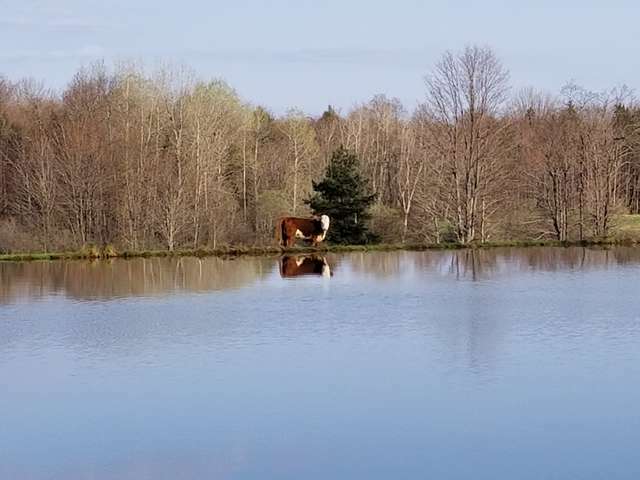 ‘Here, our resilient new friend will spend her life in peace, surrounded by caring humans and a loving herd of her fellow rescued cattle,’ concluded Turner-Smith. On the rescue group’s webpage – animalsoffarmsanctuary.com, they wrote Bonnie’s entire story. Thanks to all the kind people, Bonnie now lives safely among her own!